Owen Smith, Regional Vice President, External Affairs at AT&T, presents at the VHSA Annual Conference. AT&T is a generous sponsor of Turn Off Texting. 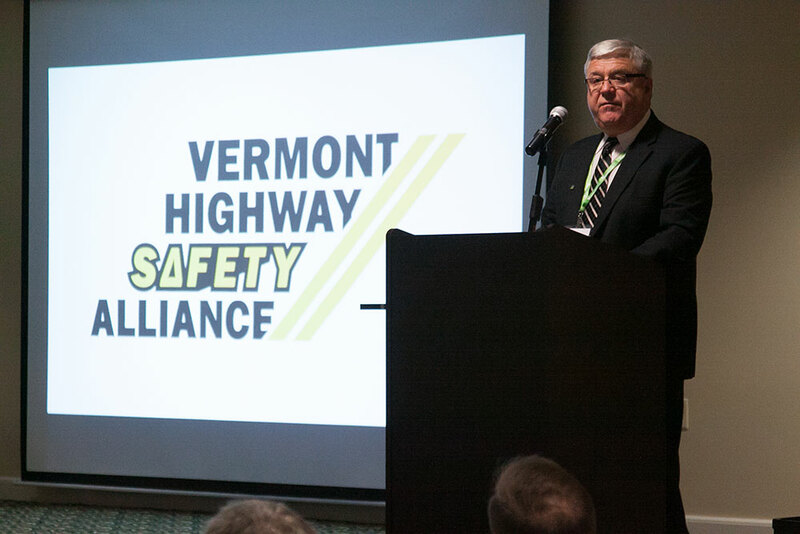 The Youth Safety Council of Vermont attended the Annual Conference of the Vermont Highway Safety Alliance on October 26. 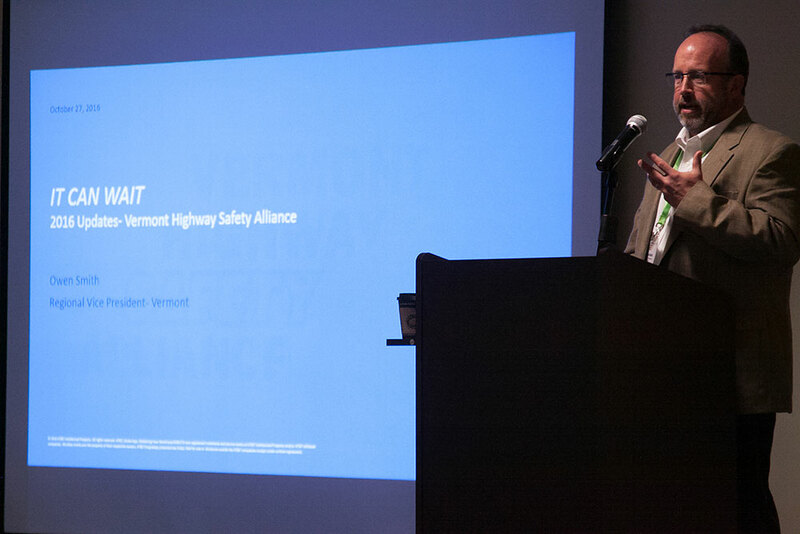 It was held at the beautiful Mount Snow Resort in Dover and brought together safety-minded professionals from all over the state. Here’s a few photos of Youth Safety Council family members! For more photos of the event, visit the Google Photos album. 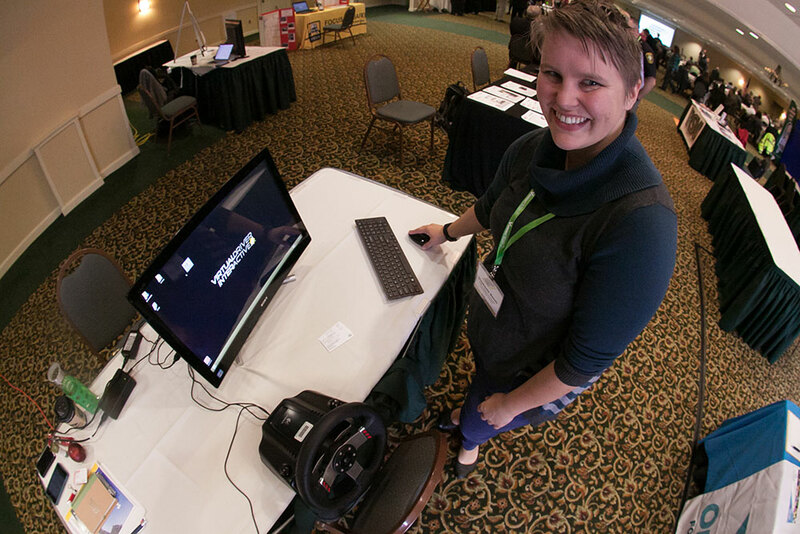 Stephanie Busch, YSCVT Board Member and the Emergency Medical Services for Children Coordinator at the Vermont Department of Health, with the Health Department driving simulator. Glen Button, Chair of the Vermont Highway Safety Alliance. 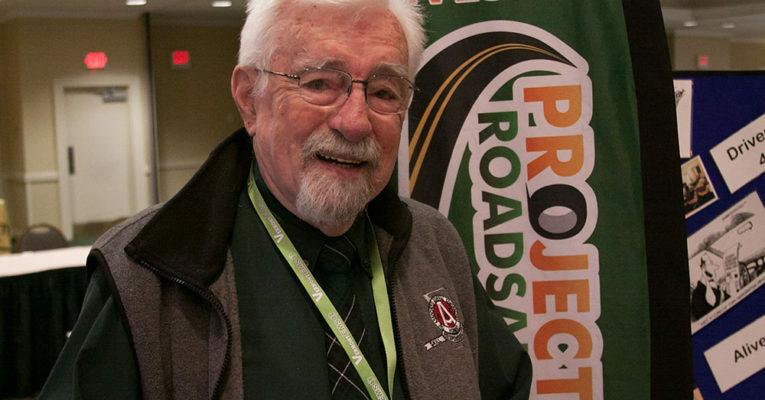 Photo at top: Norm James, YSCVT Board Member and Project RoadSafe program manager at The Associated General Contractors of Vermont.